Finally Oppo today launched its another new smartphone from its online only sub-brand RealMe, today Oppo launch its new smartphone called RealMe 1 with its new brand and basically focusing on the youth of the country India. The RealMe 1 is another smartphone from Oppo but this time it's a online specific smartphone as we know for now. And if we talk about the specifications of this Smartphone and in on paper its look pretty decent and basically three storage variants are provided by the company regarding to this Smartphone model, and availability of this Smartphone is only exclusively available on Amazon India starting may 25th 12 P.M onwards. 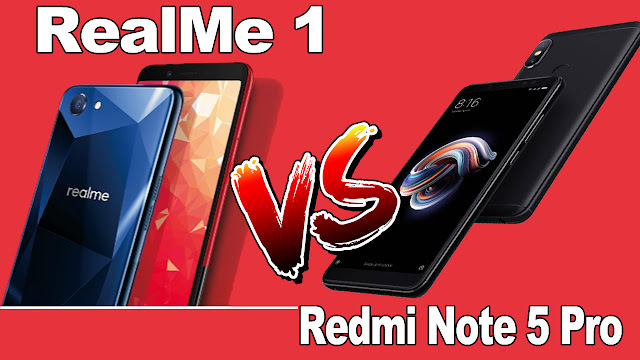 And if we compare this Smartphone realme 1 with Xiaomi's redmi note 5 Pro because both the devices carry similar specifications in the recent current smartphone selling market. Oppo Realme 1 starts with Rs 8,990. There will be 3 variants like 3GB Ram and 32GB internal storage variant at this price and for the 4 GB and 64 GB storage variant the smartphone is going to be priced at Rs 10,990 and also for the top variant with 6 GB RAM And 128 GB storage will be set you back at a price of Rs 13,990. And on the other hand look and design of this Smartphone its look very premium with the Diamond black color variant just like Oppo F7 Diamond black edition smartphone this Smartphone look and design are basically different from the budget category smartphones from others. On the other hand if we talk about Xiaomi Redmi Note 5 Pro there are also some variants available in the market from the smartphone is likely to be first one is 4GB RAM and 64GB internal storage variant which cost around Rs 14,999. 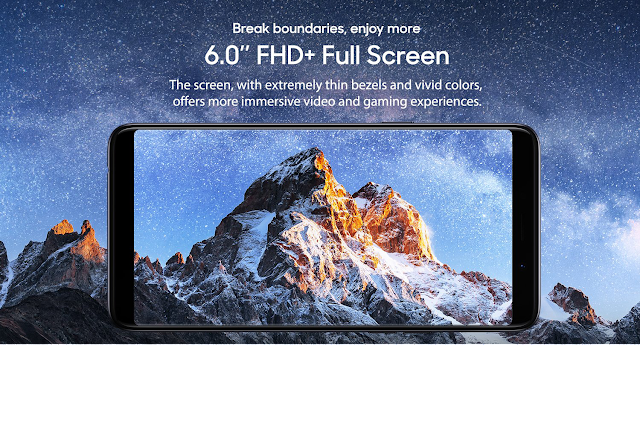 And for the higher one this smartphone have a 6 GB ram and 64GB internal storage variant for nearly Rs 16,999, and This smartphones comes with a color variant which are available in black, gold, Lake blue and rose gold. And this handset is available on Flipkart and mi.com and generally in a flash sale mode. and on the other hand the redmi note 5 Pro comes with the display size of 5.99 inch with the resolution of 2160*1080 pixels, and the smartphone comes with a full HD+ display quality which also gives you a decent picture quality in the reality. For the better processing power the realme 1 comes with an AI powered MediaTek Helio P60 Octa Core processor which is made on 12 NM Technology process and the clock speed upto 2GHz and in the case of Ram and storage the smart phone is available on different variants like 6 GB of RAM and 128 GB internal storage which is top most variants among the all and some other variant 4 3GB Ram and 32GB storage and another one is 4GB RAM and 64 gb storage, and there you can also get a dedicated MicroSD card slot for the further extension and its depends on you whether you want to expand your internal storage or onboard storage. And if we talk about redmi Note 5 in relation to performance of this Smartphone the device is running on Qualcomm Snapdragon 636 Octa Core processor clocked speed of 1.8 GHz and in case of top most powerful variant of this is smartphone is 6gb Ram paired with internal storage of 64GB and which is also expandable upto 128 GB MicroSD card slot and in this smartphone you are going to have a hybrid means you only going to use 2 sim card or a combination of a single SIM card with a MicroSD card slot only. The realme one smartphone have a camera which have the rear 13 megapixel camera and for the selfie lovers it carries the front camera 8 megapixel and there are some portrait bokeh effect also and if focus on the launch of these type of Smartphones for now a days are basically focused on selfie topics and as per the on paper specifications with think this camera is going to perform well in comparison to some other category smartphones in case of selfie images also. And if we talk about the redmi note 5 Pro smartphones camera so this is smartphone comes without your real camera setup with primary camera of 12 MP + 5 MP and fossil free this camera carousel 20 MP selfie Shooter secondary camera. And if we talk about some other specifications related to RealMe1 smartphones is its operating system like its runs on a custom UI called colour OS 5.0 based on Android 8.1 and also comes with a face unlock feature which is now a demanding feature for the current Smartphones and in case of battery and power back up the smart phones going to have a 3410 mah battery and like for regular network connectivity 4G+4G. And this is smartphone is also comes with the triple slot which is capable handle dual sim card and MicroSD card. And on the other hand if you talk about Redmi Note 5 pro some other specifications like battery and power back up the smartphone comes with the capacity of 4000 MaH battery which gives a decent battery backup up to 1 days or more than a day in our day to day test it's nearly 1 and a half day on a moderate level usage. And in case of operating system of redmi note 5 pro comes with a custom UI called MIUI over android nougat 7.1.2 out of the box. In case of comparison its very tough that which smartphone is better and performs better in day to day life and its true that we can't get every demanding specification in a single smartphones. and really there's very tight competition between Realme 1 against xiaomi Redmi Note 5 pro. and its depends only on your needs because you have to use smartphone in reality and the on paper written specs can't clarify that which smartphone is better. 6GB Ram And 128GB Storage At Just Rs 13,990. Helio P60 Octa-core Processor of 12 Nm technology. Base Os Andoid 8.0 comes with a Face Unlock Feature Also. Why Buy Redmi Note 5 Pro ? Very Popular Online Smartphone selling brand in India. Dual rear camera Setup 12MP+5MP and for selfie 20MP Camera. MIUI is one of the popular custom UI in Android. You can take any decision as per your requirement because both the smartphone are best working on their own fields.